1. Always bring extra ostomy pouches, skin barriers, and accessories in case your checked luggage is lost. Empty your pouch before getting on the plane. 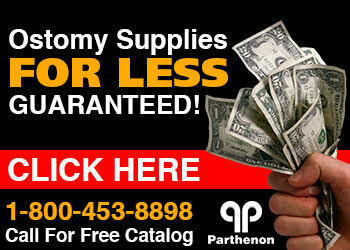 Keep a record of the products and stock numbers along with the toll free number/website of your ostomy supply company in case you need more shipped to you. Try ostomy pouch liners to extend the wear of your pouches. Consider the humidity and weather conditions of your destination and consider bringing things like waterproof tape to "picture frame" your skin barrier to maintain adhesion. Keep some sort of electrolyte enhanced drink available to drink. Bring a change of clothes in your carry on luggage. Check with Transportation Security Administration to confirm any questions. Here's an L.A. Times article that addresses concern's of a person with an ileostomy. Also, here is a useful article from Bob Huber about travel with an ostomy!